1 ripe avocado, cut into 1/3 inch chunks. splash balsamic or lemon or lime juice. Combine everything in a small bowl. Add just enough olive oil to coat everything lightly, and a splash of balsamic to bring out all of the flavors. 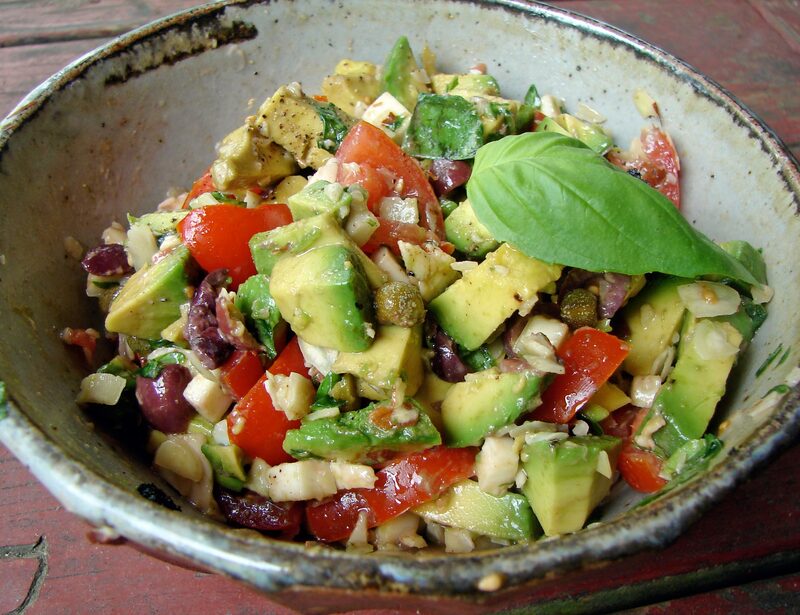 This entry was posted in salad, tomatoes and tagged almonds, avocado, fresh basil, guacamole, mozzarella, olives, tapenade, tomatoes by Claire. Bookmark the permalink. Looks like a very refreshing salad!